What could be sweeter than Sugar & Spice? TAHOE, Calif. — The North Lake Tahoe Bridal Faire, sponsored by the North Lake Tahoe Chamber/CVB/Resort Association and Squaw Valley, took place on Feb. 1 at the Olympic Village Lodge in Squaw Valley. North Lake Tahoe is a dream wedding destination for thousands of couples, which has made it the home of top wedding planners, wedding photographers, and wedding venues. Dozens of those wedding experts will be on hand at the Bridal Faire at Olympic Village Lodge in Squaw Valley at the next North Lake Tahoe Bridal Faire on Sunday, Aug. 24, 2014. The event allows brides-to-be to connect with North Tahoe wedding vendors. February’s event had 85 brides meet with more than 50 wedding vendors at a completely sold-out event. This summer’s faire will showcase the entire range of wedding services, from food to photography. Full wedding place settings, decorations and fashion will be on display. Attendees will be free to walk through the conference room and coordinate with vendors, services and planners. 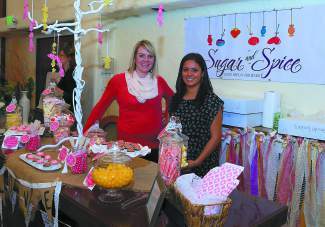 The Bridal Faire will also return to Squaw Valley for a winter trade show again on Feb. 7, 2015. For information on exhibiting or attending the 2014 August Bridal Faire contact Ginger@GoTahoeNorth.com or call 530-581-8764.